Combi is short for “combination” and is meant to convey the bond between mother and child. The Combi Corporation was started in Japan in the early 1960s, founding its principles on customer trust. In 1989, CombiUSA was established as a subsidiary and since then this company has become a force in the juvenile products market. 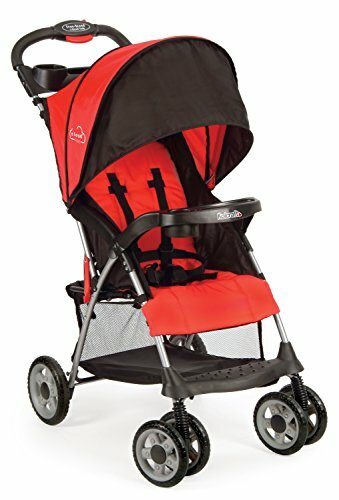 In addition to their reputable Combi strollers, this company also manufactures such baby gear as high chairs, car seats, play yards, and walkers. 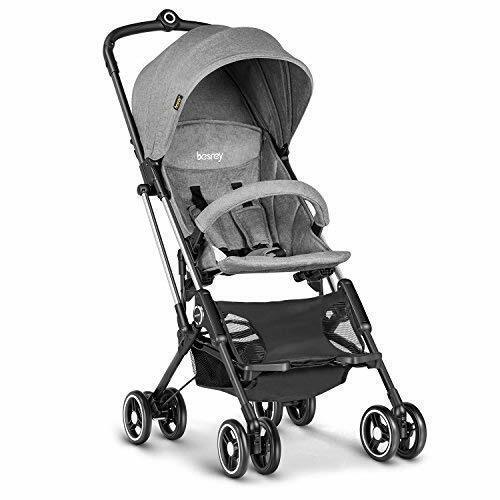 All Combi strollers are designed to be lightweight, yet sturdy, safe and affordable. One of the more appealing features of these strollers is that they carry a child up to 55 lbs! The double Fold N Go carries two children up to 50 lbs each. 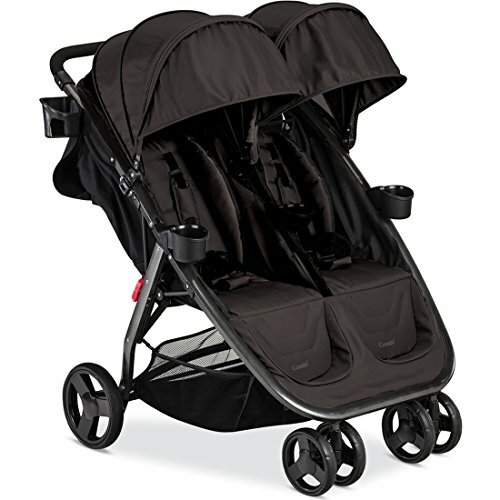 Combi strollers are known for being in the lightweight category. 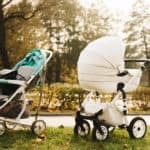 They have a side-by-side twin stroller and an evolving line of singles, however their latest single, the Fold N Go, is full-sized and full-featured. 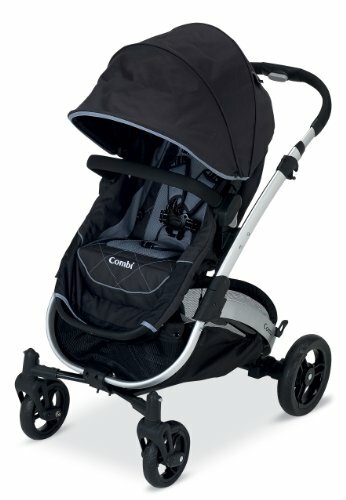 Recently, Combi’s added their first convertible stroller, the Catalyst! One of these is bound to please you, so let’s explore each. Combi introduces their new convertible stroller, the Catalyst. This beautiful new product offers many configuration options for both parent and child. Remove the seat and install a car seat right on the chassis for a travel system. Turn the seat into a stylish bassinet pram that lies flat for newborns. Face the seat toward you for bonding. And when baby is big enough, face the seat outward toward the world. The Catalyst has all the features you expect in a modern stroller that takes your baby from newborn through the preschool years. It has a 50-lb carry capacity and weighs 27½ lbs. The canopy covers your baby all the way down to the bumper bar. A padded 5-point safety harness and cushy seat keep your baby safe and snug. Parents enjoy a telescoping handlebar for strolling comfort and an enormous shopping basket accessible from both ends. Parents who have bought this product love it and give it fairly high praise. They like how easy it is to install the car seat with the (included) adapter and for the modern look and versatility. 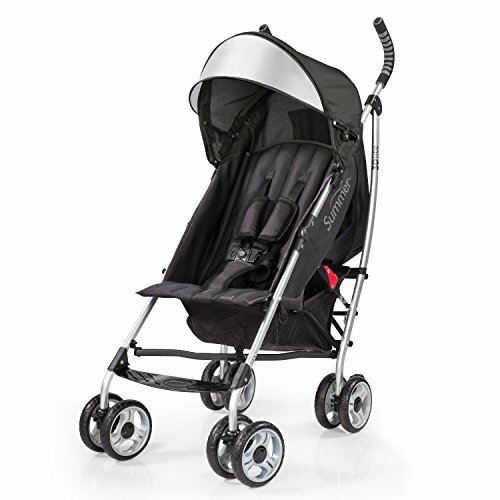 The ultimate in sleek, streamlined design is the new F2 Featherlight, one of Combi strollers newest. 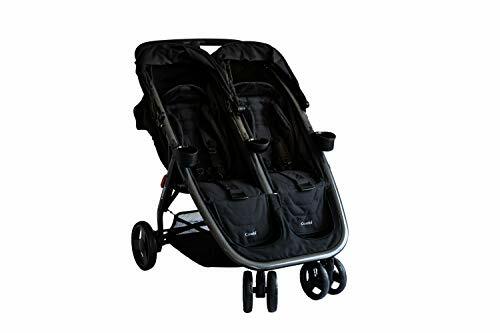 Weighing less than nine lbs this is a popular item for families who plan to take a trip or who do many errands and need the convenience of something simple and lightweight. 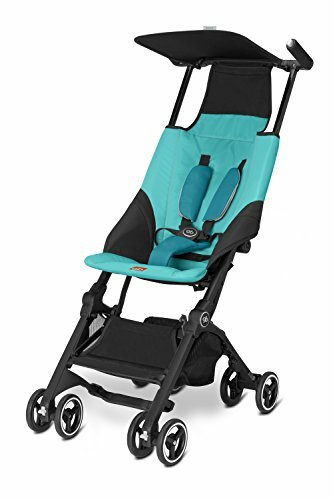 I like that it has a mesh seat to allow for airflow, and the seat also has a reclining position so your little one can nap when needed. The 40-lb weight limit should see your child through the pre-school years for a long product life. It has a one-handed compact fold and the extending sun canopy offers really good coverage. The basket is small, as you can see, but you have easy access on all sides, something you don’t see in similarly-sized strollers. I also like the single handle, making one-handed steering possible. So far parents give this great reviews, remarking about how easy the one-handed push and the recline feature are to use. 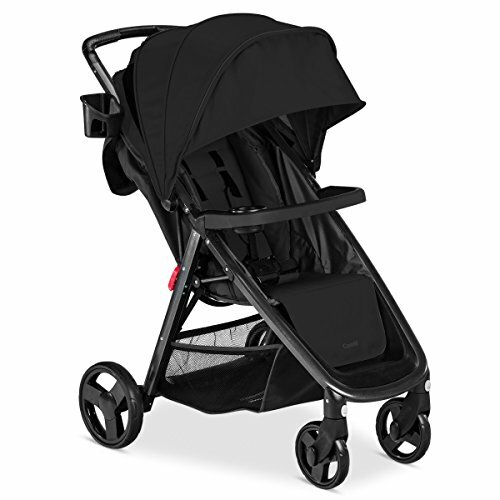 Combi has changed the design of their latest strollers, and they look sleeker and more modern. The new Fold N Go has been an instant hit, with parents loving the sturdiness and ease of use. Weighing just under 16½ lbs, the Fold N Go is considered lightweight. It holds your child up to 50 lbs for years of use. Other features include an extra large sun canopy with mesh viewing window, so you can check in on your child and get some air flowing through. The self-standing, one-handed fold is always a hit with moms who have their hands full. While the seat has a one-handed strap recline, it does not lie flat, so this stroller is suitable for babies six months and older. It is NOT travel system-ready. It comes with a bumper bar and cup/snack holder on the bar. The basket has stretchy sides and is accessible from all sides so you can put your bulkier items in no matter where you are. The fold is super easy and compact, great for travel. Parents LOVE this stroller and consistently give it 5 stars. That’s really impressive for a new design just coming out of the gate. 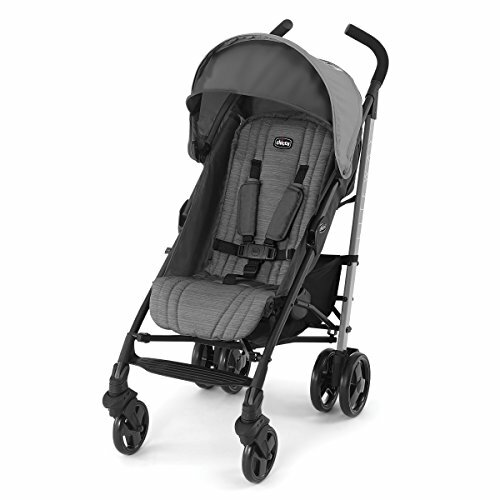 The Combi Cosmo boasts lots of convenience features for both you and for baby. For example, I like the infant safety boot, which is a flap of fabric that extends out from the seat and attaches to the bumper bar, creating a cozy, enclosed bed. The multi-position recline lays flat so it is suitable for newborns, or pair your Cosmo with a Shuttle 33 car seat and have a lightweight travel system. It holds up to 55 lbs for years of use. 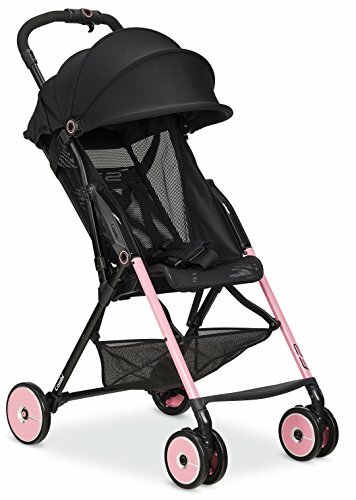 This lightweight stroller is 13.4 lbs and the seat comfortable and roomy for your big kid with lots of padding. I like that the safety harness can be either a full five-point harness or a 3-point lap belt for older children who want more freedom of movement. These little extras are quite nice! 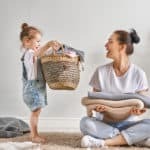 Across various web retailers, reviewers are giving the Cosmo high marks, citing lightweight convenience, easy to fold and store and the handle is high enough for tall adults to use comfortably. TRAVEL SYSTEM: The Combi double stroller has a unique travel system feature when paired with the Combi Shuttle Infant Seat. This lightweight innovative infant seat is sold separately. Weighing just over 21 lbs, the Combi Fold N Go is light weight and folds easily and quickly. In addition it has a self-standing feature and a carrying strap making transport a breeze. The fold is a HUGE hit with parents, with most reviews giving it the highest praises. Two comfortably padded seats with 5-point safety harnesses snugly keep your children in place. The seats each recline and are recommended for babies 6 months old and up to 50 lbs per seat. Parents love the extending, full-coverage sun canopies with mesh peek-a-boo- windows. Child cup holders and a snack cup in the middle make everybody happy. Parents you get a cup holder, too! I like the 3 tasteful color schemes: red, black or brown. 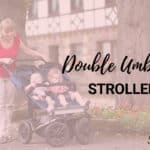 This convenient, lightweight twin Combi stroller has not gotten many reviews at the time of this writing, but so far parents are happy sending in great reviews.